On episode 2 of the Rochester Area Heritage Society Podcast, our Travel Back in Time speaker series features Mike Sabo, president of the Fry Glass Society. Mike explains the stems that help identify Fry Glass stemware. This episode was recorded July 24, 2018 in Rochester, Pennsylvania. Featuring: Mike Sabo. Audiography: Kevin Farkas, Dave Holoweiko. Music (available on SoundCloud.com): “MP3 Five Years Ago,””Audio_002,” “downbeat15todd3.” ©Rochester Area Heritage Society Podcast/The Social Voice Project. All rights reserved. 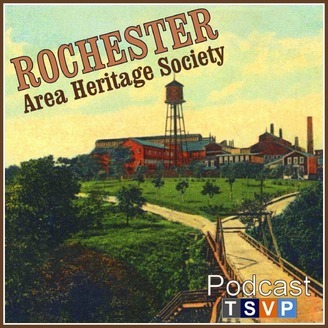 The Rochester Area Heritage Society Podcast features stories, news, and events of the Rochester Area Heritage Society and other local history of central Beaver County, Pennsylvania.